The Greenbuild EXPO brings together industry leaders, experts, and frontline professionals dedicated to sustainable building in their everyday business. Crestron is showcasing its Integrated by Design sustainable and energy efficient solutions during the show. Crestron will focus on the importance of a fully integrated building in order to lower operational costs and increase productivity and efficiency for customers. The most comprehensive and reliable way to achieve measurable reductions in energy usage and utility costs is to integrate all building systems on a single, intelligent platform, according to the company. By building on open standards like DALI, Ethernet, and BACnet, Crestron solutions offer customers competitive choices without locking them into costly proprietary systems. 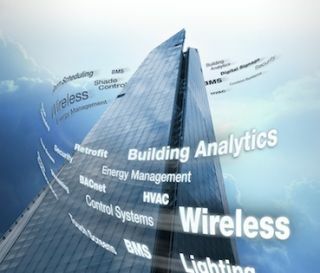 "From hardware to software, and leveraging engineering and design expertise, Crestron has everything needed to integrate commercial lighting control with HVAC, Building Management Systems (BMS), shading, AV, digital signage, and security, to deliver a highly energy efficient building," said Claudia Barbiero, Crestron Commercial Lighting Controls Marketing. "We are the only manufacturer that offers lighting, temperature, and technology together on a single platform so customers can get accurate data and manage energy usage across the entire building. We deliver building analytics in an easy-to-understand manner and enable seamless maintenance of systems using one simple graphical interface. You can now benchmark energy use to accurately measure, compare, and reduce energy consumption." Additionally, attendees will experience a live color temperature demonstration, a look at the science and application of adjusting light sources to enhance people's moods, improve productivity, and regulate Circadian rhythms. Thanks to their excellent illumination, long life, white light quality, safety, and energy efficiency, most experts agree that LEDs will be the dominant lighting technology moving forward. "Our mission has been to pair LEDs with the right drivers, dimmers, and controls. By specifying the right drivers and controls, customers get more reliability, energy savings, and creative possibilities from the LED lighting designer, as well as flexibility for the future," added Barbiero. Crestron will showcase a lineup of integrated lighting control and energy management products at Greenbuild EXPO 2013 including LED drivers, Cameo® Wireless Dimmers, occupancy sensors, Fusion EM Energy Management Software, and Crestron Shading Solutions.